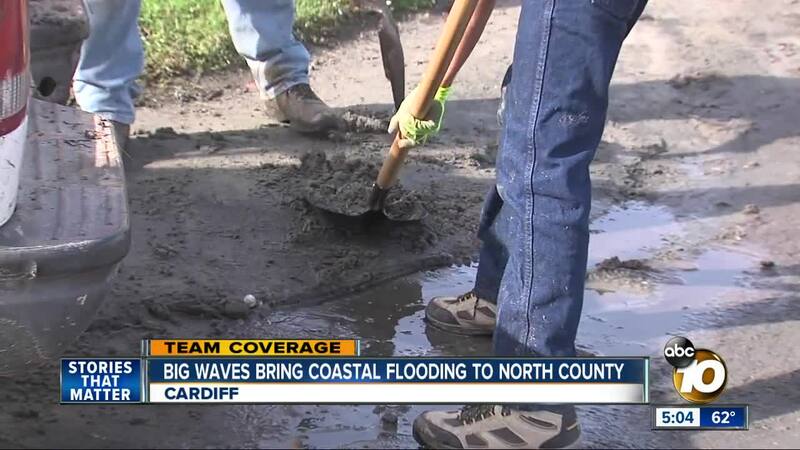 SAN DIEGO (KGTV) - Strong waves slammed San Diego County beaches Friday, leading to some damaged structures and street flooding. The National Weather Service’s High Surf Advisory for San Diego’s coasts is expected to last through 4 a.m. Saturday. San Diegans are being advised of the strong rip currents, potential for coastal flooding and dangerous swimming conditions during the advisory period. 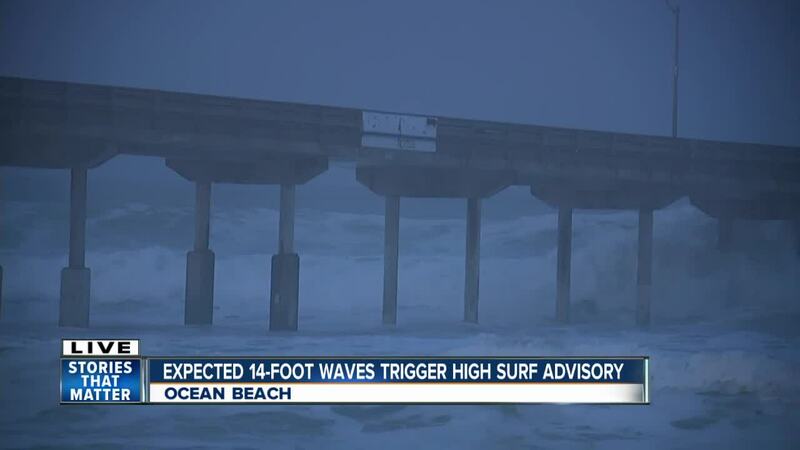 Forecasters said the high surf had the potential to reach 12 to 14 feet at some beaches. In Ocean Beach, the strong surf sent debris, believed to be large pieces of wood from the pier, onto nearby sidewalks and streets. The OB Pier remains closed due to the high surf conditions. 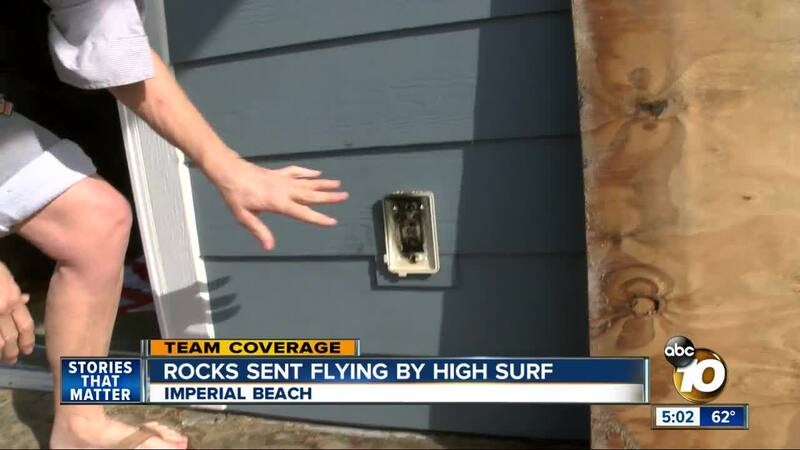 In Imperial Beach, the strong waves sent sand onto the streets and caused some damage to nearby homes.